Resin Smiler Ten Pin Bowling Award. Antique gold with a white skittle and gold detail. 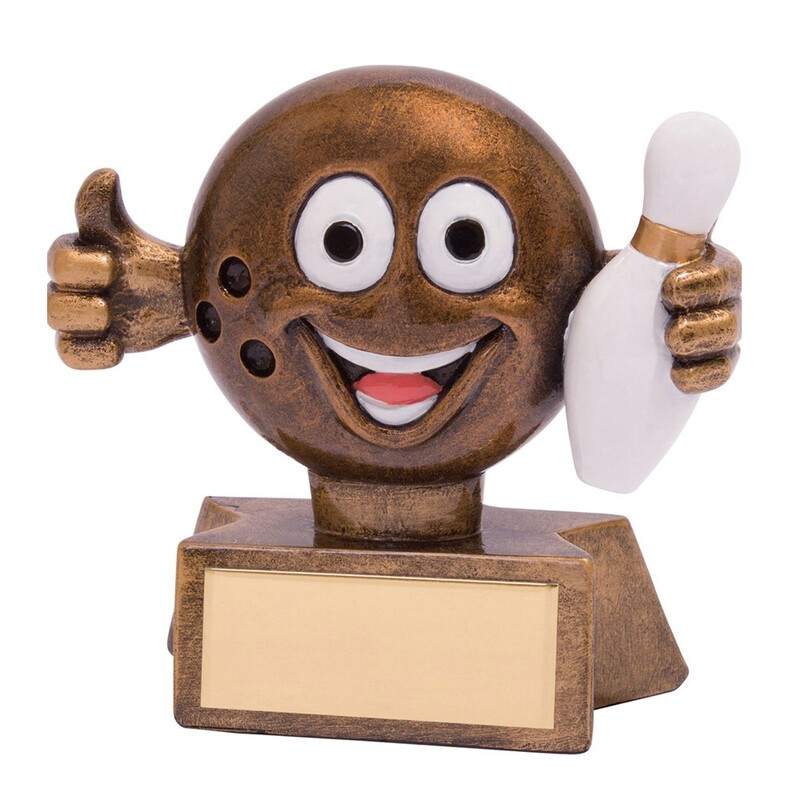 A great fun 3D ten pin bowling trophy. Measuring 75mm high, a great value award. Free engraved plate included.